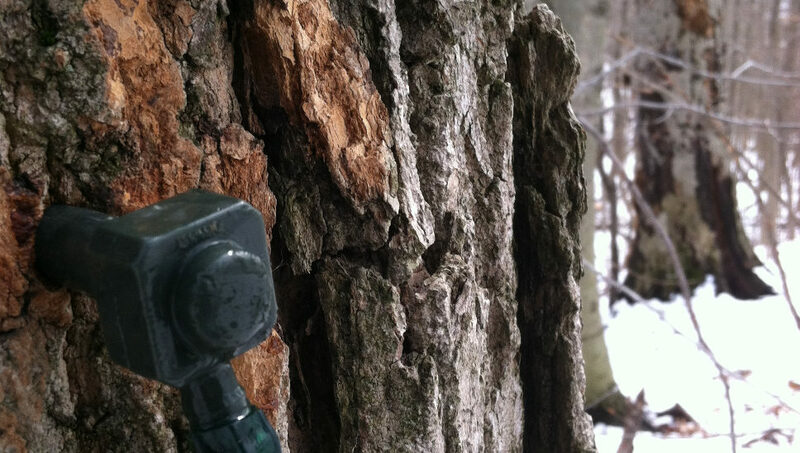 After a hole is drilled into the tree, a tap (the green plastic item) is inserted into it. The sap drips out of the bottom. 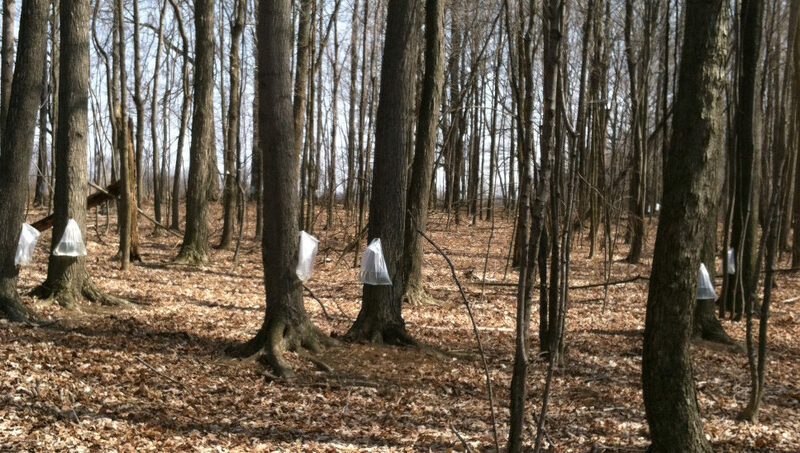 We currently use 3 gallon plastic bags to collect a large portion of our sap. The use of bags makes it impossible for rain to enter the sap and minimizes the possibility of insects climbing in. The sap look like water, and has only a slightly sweet taste. Although there is nothing green in the woods yet, the full bags are a sign of spring. Our evaporator is about 3'x10' and has two sections. 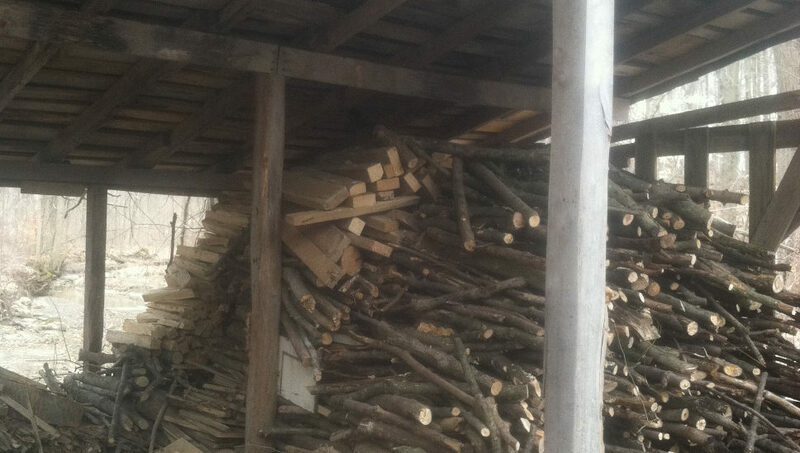 The back part is the largest, and heats the sap and begins the evaporation process. The front portion is where the syrup is actually produced. The evaporator has walls several walls which create a maze type system. The sap travels through the holes in the walls. As it travels closer to the end of the evaporator, it becomes sweeter. Our syrup is cooked over a wood fire. This is the smaller parts of the tree that are not sold as firewood.